Attention all pancake lovers, this is a post for you! We’ve selected only the best and most delicious pancake recipes and we promise you that once you try and make these recipes you’ll be making pancakes like a pro. Enjoy lots of chocolate, berries and 20 different ways to cook pancakes at home. Make a delicious breakfast for your kids or your significant other, or perhaps invite your friends in and surprise them with amazingly delicious pancakes! 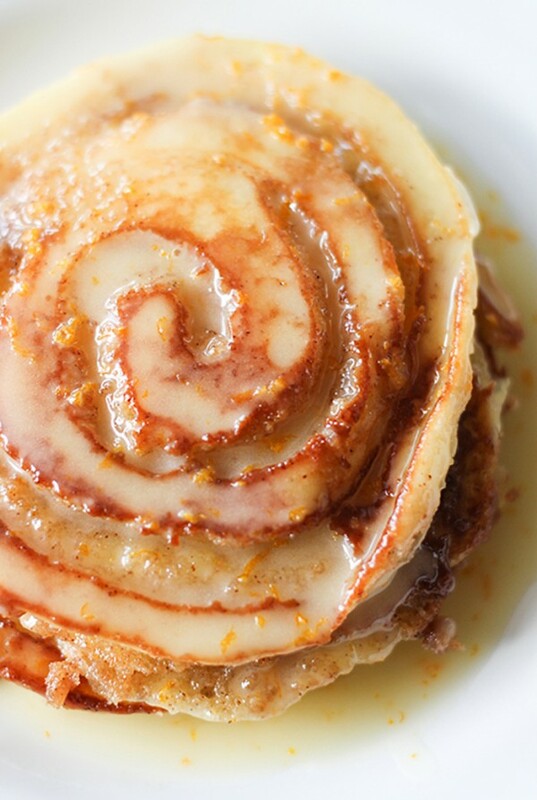 A brilliant way to cook pancakes with cinnamon. The first thing you’ll notice in the picture above is an interesting way to serve these delicious pancakes. After reading the recipe, you’ll be running to the kitchen to try the recipe. Chocolate pancakes are classic but there are so many ways to cook them! Here we have a recipe for chocolate chip pancakes. It’s amazingly delicious with a cup of coffee and you can make it even better with a scoop of ice-cream. These pancakes may look like nothing special but once you try them you’re surprised with a delightful taste of Nutella. It’s a great mood booster in the morning for the entire family! Still wondering how you’ll surprise your significant other on Valentine’s day? Consider these pancakes of love in vibrant red velvet color that speak love and passion. Make them in the shape of heart to express all your feelings. Pancakes with bacon? Oh yes! It’s a great breakfast or snack. The recipe is quick and easy to make. 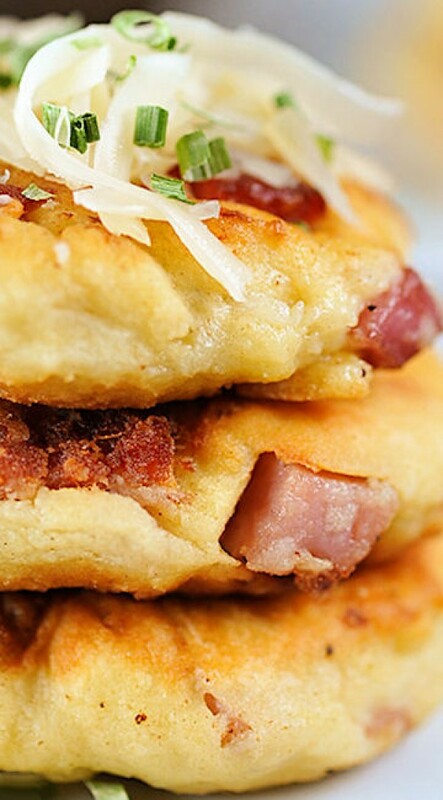 If you like bacon you’ll find yourself making this recipe over and over again. 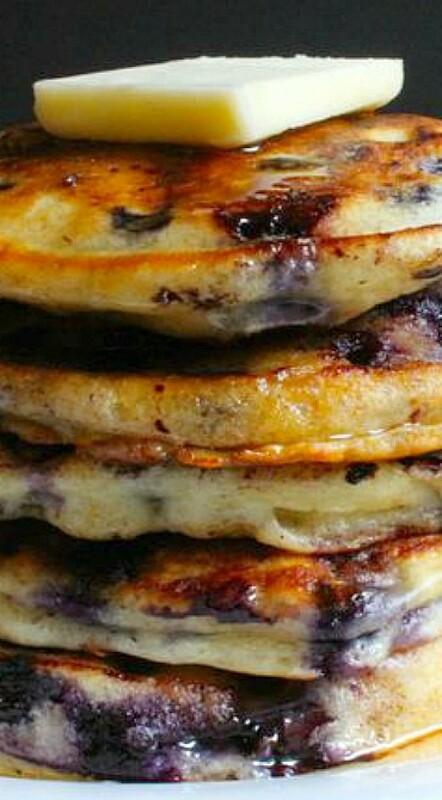 If you like berries, these blueberry buttermilk pancakes will be a treat for you. Buttermilk makes for an exquisite flavor and the pancakes turn out light and fluffy. Don’t forget to add maple syrup! These pumpkin pancakes are as tasty as they look. What makes this recipe special is the addition of pecan caramel sauce. Chocolate brownie pancakes drizzled with chocolate sauce – that’s a real chocolate attack and you’ll love it. Invite your friends over for breakfast, they won’t say no to such a treat. Here’s an idea for a hearty filling breakfast – potato pancakes. You’ll love the crunchy bacon, cheese and onion filling. Try them with sour cream or mushroom sauce. Hot light and fluffy golden brown pancakes can be deliciously served with lime or lemon. This makes for an exquisite taste. Try this recipe at home. We all like Oreos so let’s take a look at this recipe. These pancakes are like big Oreos but even tastier, they’re fluffy with mouth watering cream stuffing. Have some pancakes for dessert. Exquisite cheesecake pancakes with honey and cinnamon can easily become one of your favorite desserts. Try it and you’ll love it! Let summer into your home with these sweetly light and fluffy pancakes with poppy seed lemon strawberry sauce. Not only it will make you dream of hot summer days, it will boost your energy levels for a new day. 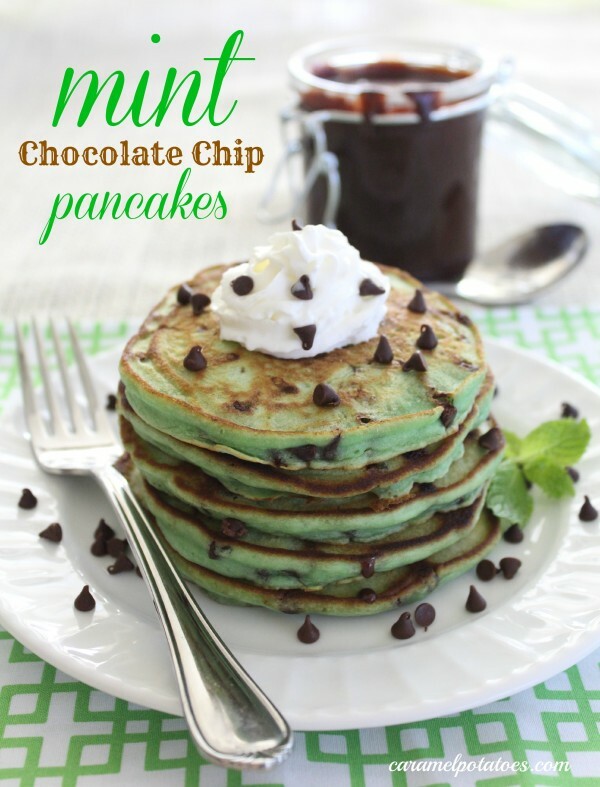 Chocolate pancakes are classic but let’s make it fancy with flavorful mint and vanilla cream topping. This recipe is great if you love coffee. Enjoy these chocolate mocha pancakes with a cup of hot coffee to start your day. Do you like cinnamon pancakes? This recipe is for you. Try these pancakes in a refreshing orange flavor that will take you back to hot summer days. If you’re a fitness nut who loves morning jogs, takes care of your body and health but still like to indulge in a delicious breakfast for a boost in energy, this is a recipe for you. 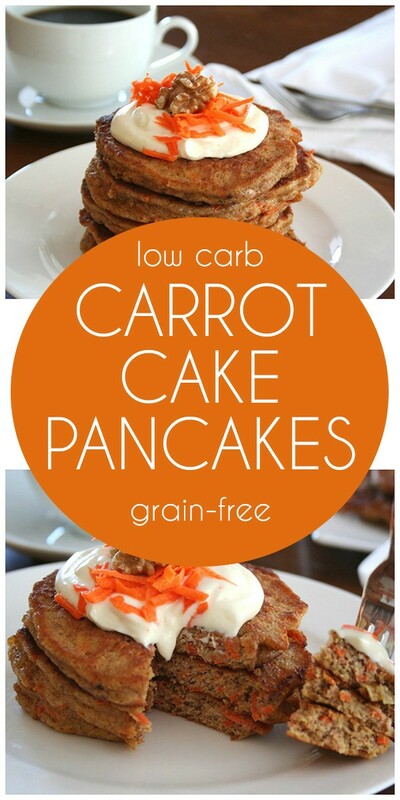 These grain-free low-carb carrot pancakes will keep you fixed until lunch. 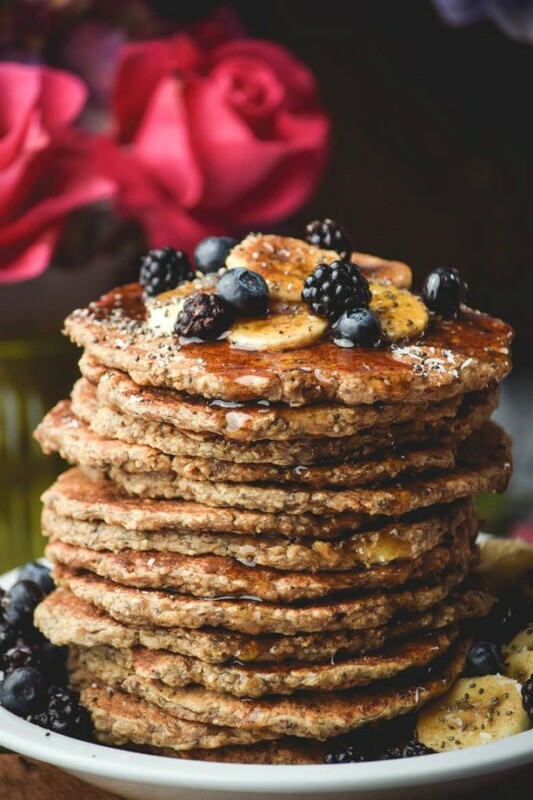 The exquisite flavor of chia oat and banana pancakes will remind you of refreshing spring mornings. These pancakes go really well with fresh berries and maple syrup. Spinach are nutritious and great for your body so this healthy pancake recipe is definitely worth a try. Your kids will love it too! If you find classic pancakes boring and you want to surprise your family or guests with something different, try these pumpkin pancake bites. We bet they’ll keep asking for more!